A new Buddy Doll has just been released, a new 60 cm. girl named Sara. The doll is being sold as a basic with a random pair of eyes. She can be ordered in white or normal resin. Her face-up and clothing are optional additions. The Limited version of Raphael has been sold out. 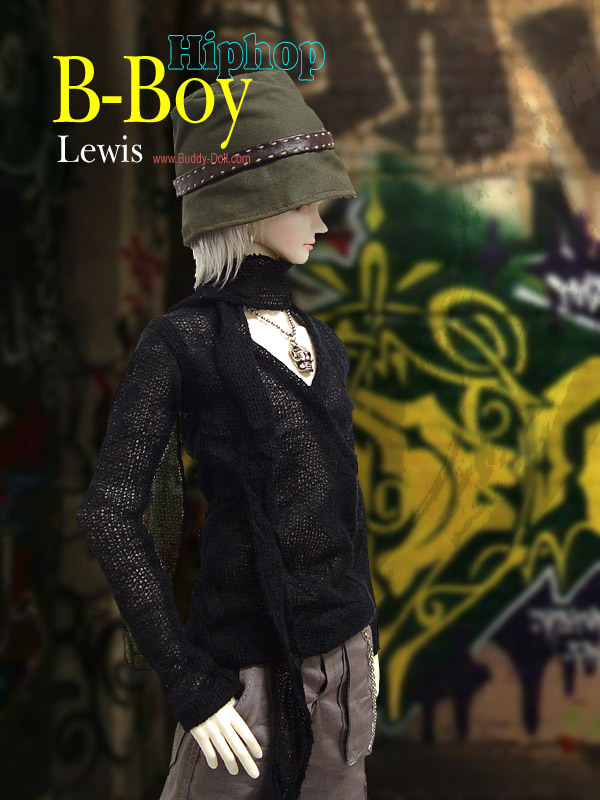 The new basic version of the doll has just been added to the Buddy Doll website. The 70 cm. doll is available in normal or white resin and comes with random eyes. The options available are for the face-up and for the shirt and pants shown in the pictures. A new 70 cm. doll has been added to Buddy Doll. He is named Raphael and he is being sold as a limited doll. 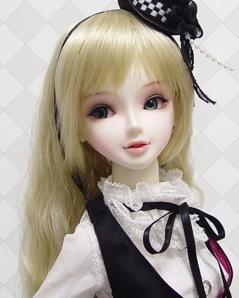 The doll comes in white or normal resin with random eyes. The additional items are available to order separately including: the wig, mask, outfit, cloak, shoes, and face-up. Buddy Doll has re-designed their logo, their site, and recently released three new dolls, Daniel, Kyle, and Isabel. They have announced that under a new art director, they are working on completely re-working their dolls, their website and their company. They will be re-photographing many of their products. At the moment, some may be represented by few photos, but more will be added. In addition, the company announced upcoming dolls. New dolls Daniel and Kyle are represented as band members. The company plans to release 2 more dolls as part of the band in January. Buddy Doll has announced a Christmas promotion which will run from November 5th to December 31st. 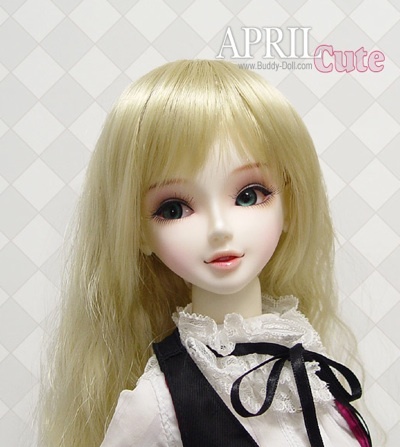 Buddy Doll has a new girl doll named April Cute on their site. She has an open mouth and a light smile. The doll is 60 cm. tall and comes with eyes. She can be ordered in white or normal skin. Buddydoll is the latest company to lower their prices due to fluxuations in the currency markets. Some other doll companies have also reduced their prices including Dollmore and Ipplehouse.